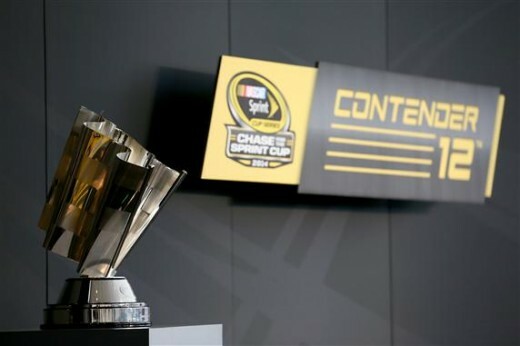 The Contender round of the 2014 Chase is ready to roll. 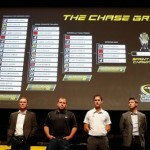 12 drivers, some of the best racers in the business, vie for eight spots to become NASCAR’s Elite Eight. 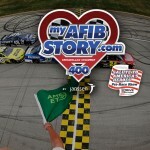 There’s some fast company in this group, and when you throw a wild card track like Talladega into the mix, any number of scenarios can play out, including the elimination of a favorite or two. While handicapping auto racing is a fool’s errand, it’s always interesting to ponder who the top Chase contenders are, and seeing how reality squares with expectations. You’ll recall when the Chase got started, we said Brad Keselowski, Jeff Gordon, Kevin Harvick and Joey Logano looked like the Final Four. Nothing has happened thus far to change that opinion. Keselowski, Gordon and Logano all captured wins in the first three races, and but for a little foul fortune Harvick could have. The only thing keeping them for moving forward is a collapse along the order of the walls of Jericho, which admittedly, Talladega Superspeedway may be more than happy to deliver. While yours truly still believes that Jimmie Johnson is not in championship form, I would be ignoring him at my own peril. He has enjoyed a rebound of sorts since the Chase started, but by now, you would think he would have won a race already. With his prior successes at Kansas, he may pick off what he needs this Sunday. Matt Kenseth, after winning seven races last season, has been oh-for-2014. This will change soon. You may remember I said that Kyle Busch has a lot to prove in the Chase? 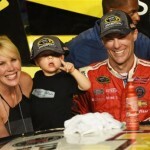 So far, he is proving an ability to hang tough in spite of the struggles of Joe Gibbs Racing. Being one of those drivers who can win anywhere, Rowdy is poised to punch his ticket to the Elite Eight. JGR teammate Denny Hamlin is nowhere near his best form, but always seems to get the finish he needs when he needs it. Hambone and Kasey Kahne are both drivers capable of breaking out of a funk and going on a tear at a moment’s notice. The question for the Gibbs crew is not one of talent, but one not having to overome will-handling or fragile cars on race day. 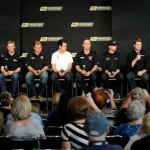 Where is Dale Earnhardt Jr.? The good news is he hasn’t had one of those completely disastrous races that would knock him out of the running. The bad news is that with this competition, Earnhardt needs to turn up the wick if he wants to be a true contender and not merely true survivor. Perhaps now would be a good time to recapture that Talladega magic of the early 2000s. That Ryan Newman is still in the discussion is a tribute to Ryan Newman. This is not RCR’s finest hour, and yet he has managed to hang around. Kasey Kahne’s fortunes hinge on Charlotte. He can be a beast there, but save for a brilliant race there, he seems vulnerable. The bottom line on Kahne is there’s no doubt he’s a top 15 driver, but hasn’t quite cracked to code to reach elite eight status. Carl Edwards’ swan song with Jack Roush seems destined to hit a sour note in this round. If there’s a way, Edwards and savvy old salt Jimmy Fennig will find it. It just doesn’t seem to be in the cards for Mr. Ed. Who Has The Inside Track For 2014’s Final Four?